"The Walking Man is a unique book which deserves to be discovered by a much bigger audience." 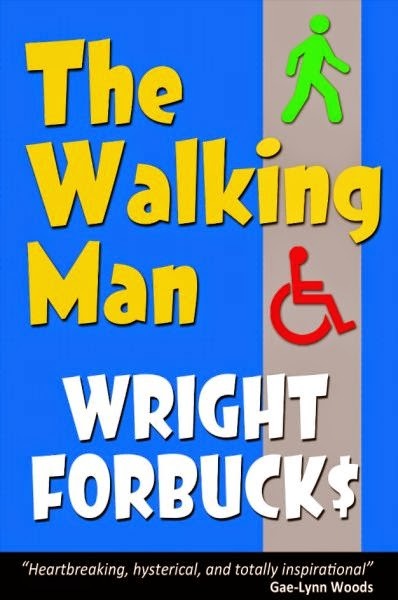 The Walking Man tells the story of Francis 'Buddy' Morris, a selfish yet strangely likeable character who suffers from Myasthenia Gravis, an autoimmune disease which causes paralysis after muscle use, and right from the start it quickly becomes clear that this is a book which isn't afraid to pull any punches. Likewise, author Wright Forbucks isn't a writer who will sugar coat his stories. I was hooked right from the very start, and a combination of the unique story and the memorable characters meant that within a few chapters I was thoroughly engrossed. It's the type of book where you say to yourself, 'I'll just read one more chapter,' and then two hours later you realise that 'one more chapter' has quickly become an extended reading session. If you were a cynical person then you might possibly argue that certain elements of the plot are unrealistic, but as Wright Forbucks himself points out, the truth is often stranger than fiction. Real life can also be incredibly unrealistic sometimes, and despite the non-conventional nature of the plot, the blurb describes The Walking Man as 'loosely based on a true story'.